When Sister Vivian Jiang accepted the gospel in Ireland, she had no idea that one day she would interpret for Sister Wendy Nelson, wife of the future President of the Church. Since the turn of the century, many of the people joining the Church in Ireland have been from other countries, reflecting a trend found elsewhere in Europe. Some of these good people eventually leave Ireland and continue to serve the Lord faithfully in their home nations and elsewhere. One of these is Vivian Jaing who was born and raised in Shanghai, China. Her parents did not come from any religious background, and her view is that she really had no solid spiritual foundation before her conversion. However, in her own words, 'Somehow I always believed and felt there was a God. I felt that His presence was somewhere watching over me'. In 2001, Vivian arrived in Ireland to study at the Waterford Institute of Technology. 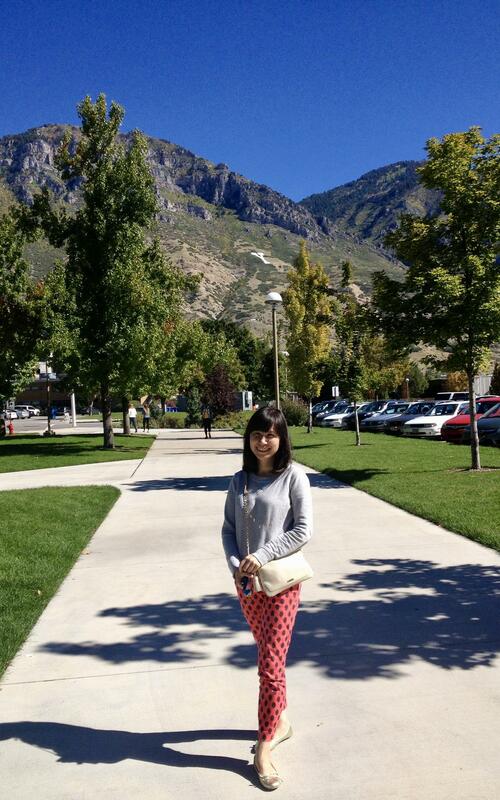 There she met the missionaries when one of her friends, Jamie Ng, invited them all to dinner. She found it curious when these two young men introduced themselves by the name 'Elder'. 'They explained to me their message on the purpose of life, and the Restoration of the Gospel of Jesus Christ. What really touched my heart was their invitation to read passages from the Book of Mormon, and then to ask God through prayer, to know if it was true. Shortly thereafter, I was invited to attend Sunday meetings. The people I met, the Ryan families, and others, were very kind and friendly. It was a small group of members back then. 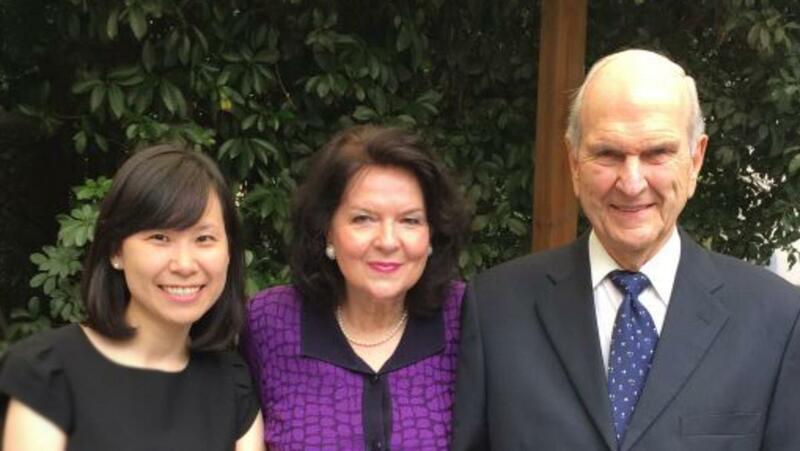 Vivian returned to Shanghai in 2005 and in 2015, the current Church President, then Elder Russell M Nelson and his wife, Wendy, visited China. Whilst there, they attended Sunday meetings at the Shanghai branch. Somewhat to her surprise, as she was not the only bilingual person in the congregation and felt there might be others whose English was more fluent, the Stake President asked Vivian to act as interpreter for Sister Nelson. She still feels that this was both a rare privilege and a great blessing and wonders perhaps if this was a reward for her service in the Church over the years. Apart from being the Stake Young Women President for some time, she also helped local church leaders organise annual nationwide youth camps and taught early morning seminary for nearly half a decade.